Over the years, asphalt pavement projects reinforced with FORTA-FI® have been put to the test in real-world head-to-head Control vs. Fiber trial projects around the country. 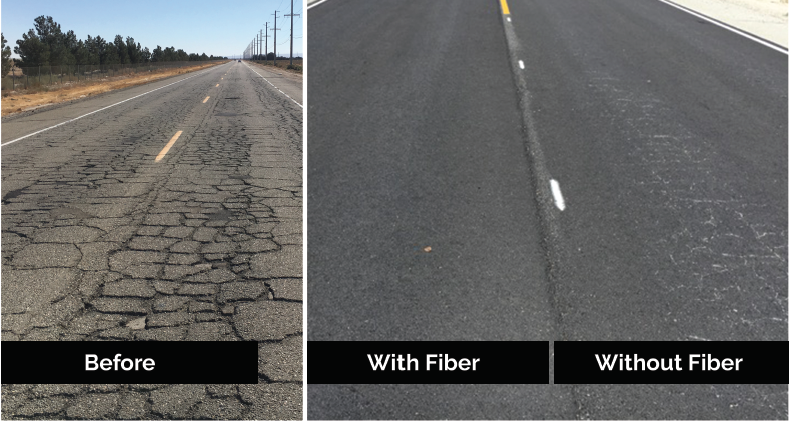 In these projects, asphalt mixtures reinforced with FORTA-FI® have been placed in direct competition with asphalt mixtures that are not reinforced with fiber in order to accurately compare the performance results.